HOT Sandy Springs! 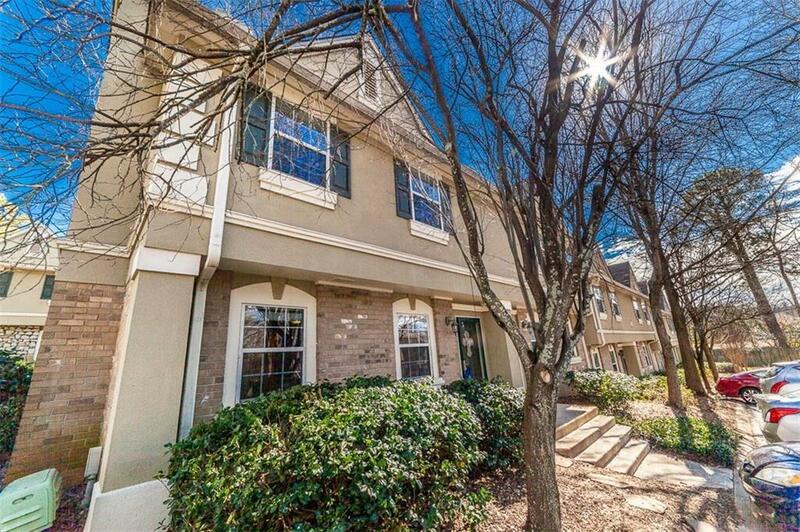 End-unit townhome, w/ lots of upgrades. Minutes from schools, shops, parks, mall & hwys. Kitchen has SS appls & granite counters. BONUS addition of extended cabinetry w/ under-cabinet lighting. New shelving in one of the rooms is perfect for an at-home office .Other upgrades include hardwood & TOP grade vinyl floors, crown molding throughout, wood burning fireplace, new paint, gated & tiled patio, upgraded electrical, added ceiling fans& lighting, new HVAC & water heater. 2 parking spaces. Washer & dryer included. Directions: From Atlanta: Take Ga40 N To Exit 5b, Sandy Springs; Turn Right On Abernathy Rd, Right On Roswell Rd, Left At 6900 Roswell Rd. -"highgate At Sandy Spring". Use The Provided Code For Intercom, Enter Through Gates, Turn Left, Then- Right And Look For Building G.